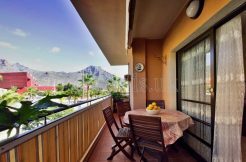 The average price of second-hand housing in the Canaries has risen by 7.88% year-on-year, followed by Aragon (+ 6.65%) and the Balearic Islands (+ 5.88%), while the price per square meter higher falls in the Basque Country (-5.49%), Asturias (-4.33%) and Castilla-La Mancha (-3.96%), according to the monthly sale price report. By provinces Santa Cruz de Tenerife is where the house price has risen more (8.80%), followed by Teruel (8.33%) and Malaga (7.94%), according to the monthly sales price report. On the other hand, the sharpest declines have been registered in A Coruña (-8.53%), Cáceres (-8.25%) and Burgos (-6.28%). Taking into account the price, the most expensive province in November 2016 was Gipuzcoa, with 3,023 euros on average per square meter, and the cheapest was Cuenca, with an average price per square meter of 692 euros). By regions, the monthly report highlights that Basque Country, with an average price of 2,654 euros per square meter; Baleares, with an average of 2,192 euros per square meter, and Madrid, which has registered an average price per square meter of 2,040 euros, are the most expensive regions of Spain in the month of November. By contrast, the cheapest are Castilla-La Mancha (908 euros per square meter), Extremadura (1,099 euros per square meter) and Murcia (1,187 euros per square meter). The average price of second-hand housing in Spain has reached 1,548 euros per square meter in November 2016, 1.70% more than in the same period of 2015 but 0.35% less than in October. Miguel Ángel Alemany, believes that the housing market “continues to show its strength” and that it is essential that the indicators of the price of the house “walk in a sustainable rhythm, fulfilling the present necessities without compromise the future. ” A “significant” part of the responsibility for the current market recovery falls on demand, since the level of confidence is “much higher than it was a few years ago.” He also insisted that knowing the market allows the future owner “to make fundamental decisions and avoid risks”.